Fidelity Investments is a privately-owned investment management company that was established in 1946 as a mutual fund company. Fidelity now offers a range of services including fund distribution and investment advice, wealth managementPrivate Wealth ManagementPrivate wealth management is an investment practice that involves financial planning, tax management, asset protection and other financial services for high net worth individuals (HNWI) or accredited investors. Private wealth managers create a close working relationship with wealthy clients to help build a portfolio that achieves the client’s financial goals., life insurance, retirement services, and securities execution and clearance. It manages equityStockholders EquityStockholders Equity (also known as Shareholders Equity) is an account on a company's balance sheet that consists of share capital plus retained earnings. It also represents the residual value of assets minus liabilities. By rearranging the original accounting equation, we get Stockholders Equity = Assets – Liabilities, fixed income, and balanced mutual fundsMutual FundsA mutual fund is a pool of money collected from many investors for the purpose of investing in stocks, bonds, or other securities. Mutual funds are owned by a group of investors and managed by professionals. Learn about the various types of fund, how they work, and benefits and tradeoffs of investing in them for individual investors, businesses, financial advisors, and institutional investors. 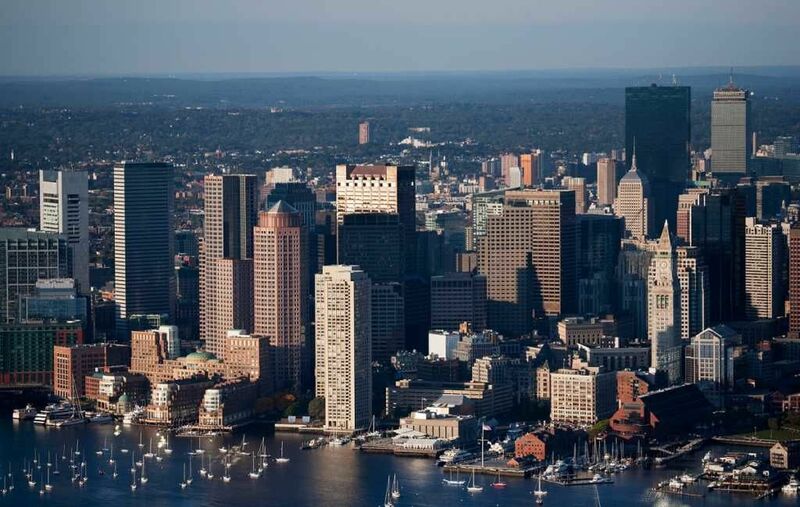 Based in Boston, Massachusetts, it is one of the largest investment management firms in the United States, with over 26 million customers, $6.5 trillion in total customer assets, and more than $2.4 trillion in global assets under management. The Fidelity Fund was established in 1930, a year after the stock market crash of 1929 and before the Great Depression of 1933. The fund continued to operate until 1943 when it was acquired by Boston-based lawyer Edward C. Johnson II. At the time, the fund reported assets under management valued at $3 million. In 1946, Johnson II founded the Fidelity Management and Research Company, now Fidelity Investments, to serve as an investment advisor to the Fidelity Fund. When running the fund, Johnson’s objective was to buy stocks with a potential for growth, and not necessarily blue-chip stocks. In the early 1950s, Johnson hired Gerry Tsai, a young immigrant from Shanghai, China, to help him run the Fidelity Fund as a stock analyst. Tsai started by buying speculative stocks like Xerox and Polaroid. His impressive performance in the stock market gained him fame among investors, and in 10 years, Gai grew the fund’s assets under management to over $1 billion. As the fund experienced high growth, Johnson II brought in his son Ned Johnson III to manage the newly established Trend Fund. Johnson III, a Harvard University graduate, expanded the fund to become one of the best growth funds in the United States by 1965. The United States experienced economic growth in the 1960s, and so did the Fidelity Fund. The fund seized the opportunity to expand to other sectors by establishing other subsidiaries. Some of these subsidiaries include Magellan Fund (mutual fund) in 1962, FMR Investment Management Services Inc. (corporate pension plans) in 1964, Fidelity Keogh Plan (retirement plan for self-employed businesses) in 1967, Fidelity International (foreign investments) in 1968, and Fidelity Service Company (customer accounts in-house) in 1969. In 1972, Johnson III rose to become the President of Fidelity Investments, a position previously held by his father. He took over leadership at a time when the markets were turbulent, and investors were moving to more secure investments. Fidelity Investments’ assets declined by 30% to $3 billion during the first two years of Ned’s leadership. In response, Ned turned to the money market by establishing Fidelity Daily Income Trust (FIDIT). The fund was the first to offer check writing, and customers also benefited from having the same liquidity as saving accounts. Ned became the President and CEO of Fidelity Investments in 1977 when his father retired. He served in these positions until 2014, when his daughter, Abby Johnson, took over the company’s leadership. Fidelity Investments operates several businesses, with the main ones being mutual funds and brokerage services. The mutual fund division comprises three divisions – equity, high-income, and fixed income divisions. The company operates Fidelity Contrafund, the largest non-indexed mutual fund in the United States, with over $107.4 billion in assets. Fidelity Investments also owns Fidelity Magellan, which was at one time managed by former CEO and President Ned Johnson. Fidelity Magellan manages assets totaling $15.5 billion. Apart from mutual funds, Fidelity Investments also operates a brokerage firm, serving clients in over 140 locations in the United States. The company first launched a discount brokerage service in 1978 when the government abolished fixed-rate brokerage commissions in 1975. Fidelity provides brokerage services through its subsidiary, National Financial Services LLC. The subsidiary works with broker-dealers, registered investment advisors, and investment firms to offer brokerage clearing, back office support, and software products for financial services firms. As of September 30, 2015, National Financial reported over $5 trillion in assets under management. Fidelity Investments offers 401(K) retirement plan services through its subsidiary Fidelity Personal, Workplace and Institutional Services (PWIS). The subsidiary listed over $1.4 trillion in assets under administration and $32 billion in defined contribution assets as of September 30, 2015. Apart from retirement planning, PWIS also offers stock plan administration, record-keeping services, pension administration, and health and welfare plan administration. Fidelity Investments also runs Fidelity Charitable, the first commercial donor-advised fund. The fund was established in 1991, later growing to become the largest charitable organization by donations from the public. Donors earn interest in their investments in the fund until the distribution is given to the beneficiaries. Most donors prefer the donor-advised funds because they can give more to charity and earn interest before their donation is given to the beneficiaries. Since Fidelity Investments is a family business, the company’s been led by members of the Johnson family since its inception. Abigail (Abby) Pierrepoint Johnson is the current chairwoman, president, and CEO of Fidelity Investments. Abby became the president and CEO in 2014 and chairwoman in 2016, after her father, Ned Johnson, retired from active service. She joined Fidelity in 1988 as an analyst and portfolio manager before being rising to an executive role in Fidelity Management and Research in 1997. As of March 20, 2013, the Johnsons held a 49% stake in the company. Abby owns an estimated 24.5% of the company’s stock and lists a net worth of $20 billion as of January 2018. She manages over 45,000 employees globally and all the CEOs of Fidelity’s subsidiary companies report to her. Portfolio Management CareerPortfolio ManagerPortfolio managers manage investment portfolios using a six-step portfolio management process. Learn exactly what does a portfolio manager do in this guide. Portfolio managers are professionals who manage investment portfolios, with the goal of achieving their clients’ investment objectives. Key Players in the Capital MarketsKey Players in the Capital MarketsIn this article, we provide a general overview of the key players and their respective roles in the capital markets. The capital markets consist of two types of markets: primary and secondary. This guide will provide an overview of all the major companies and careers across the capital markets.